Do not need professional SLR camera, the telescope can be easily connected with camera. 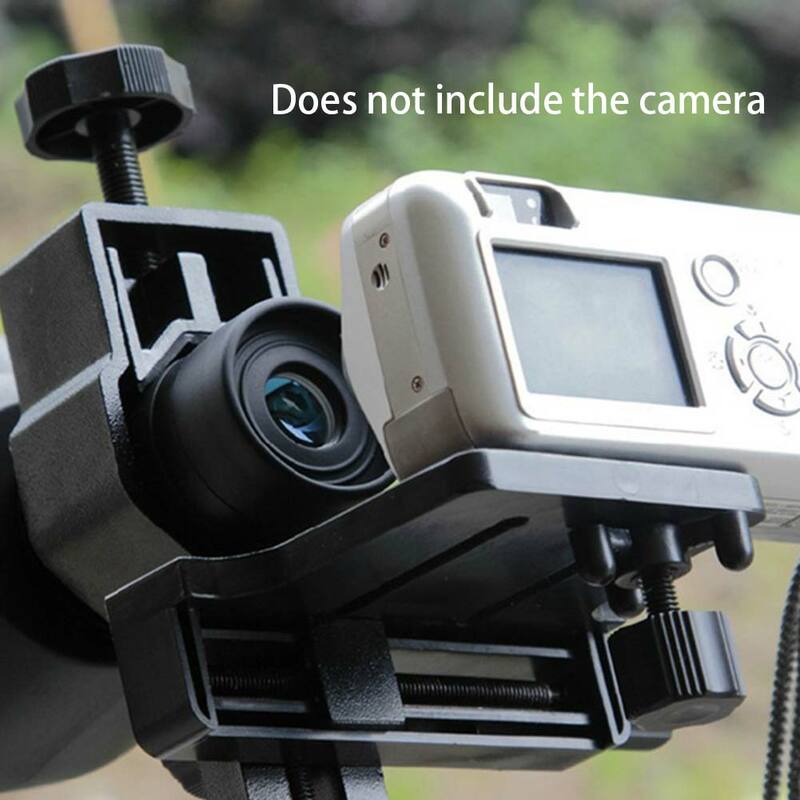 Specifically for home automatic cameras, digital cameras designed to facilitate the connection bird mirror, most astronomical telescopes, photography, etc. 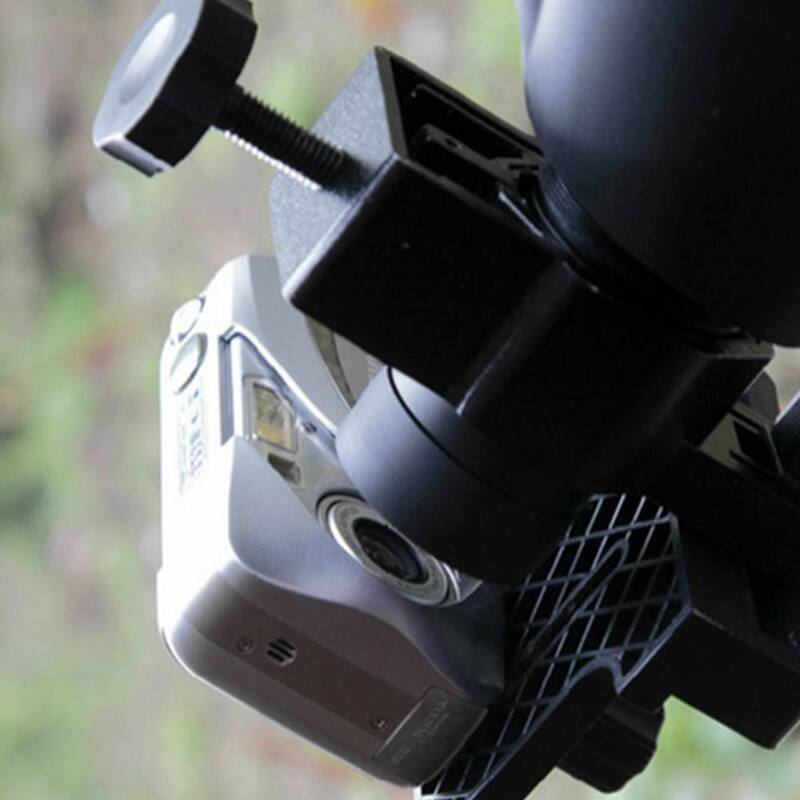 The camera is mounted on the camera bracket seat, adjust the camera bracket screws, move the camera position so that the camera lens and accurate alignment telescope, microscope eyepiece and try snapping, fixing screws. Until the equipment is stable, jitter is very small, gently press the shutter (you can also use the camera on the remote control to minimize jitter). 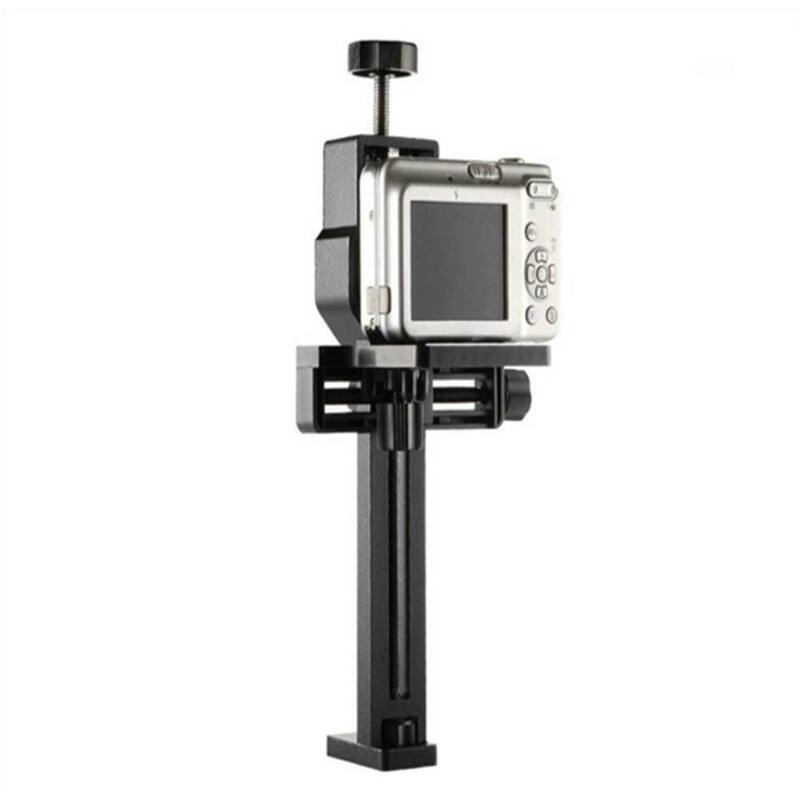 The camera on this shelf bracket screw port jaws distance from a fixed 15mm-60mm adjustable, shall ensure that the camera is not too large, bulky SLR cameras and other cameras are not applicable Photography bracket. please make sure your ebay address correct before purchase. As the Customs clearance process is different in different countries,if such kind of goods need be collected tariff buyer needs to pay for the tariff. Anyway we will try our best to avoid this kind of thing. mentioned the shipping time repeatedly. We accept return within 30 days since you received your package. Please contact us for return or refund. you do not receive our reply, please kindly re-sent your email and we will reply to you as soon as possible.